Conor Jameson marks the death of The Goshawk author T.H White. 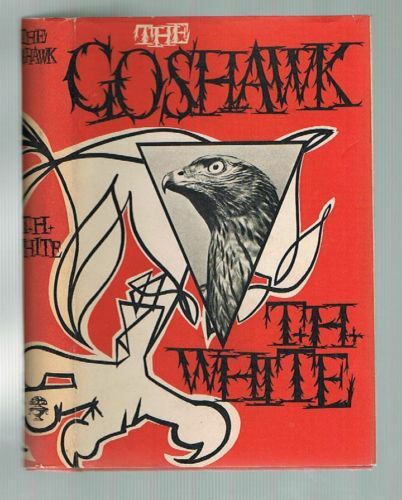 This year marks the 50th anniversary of the death of author T. H. White, probably best remembered by bird enthusiasts for his mini epic The Goshawk (1951), and by the general public for The Once and Future King, his Arthurian novels, and the blockbuster Disney and Broadway spin-offs that ensued. Like J. 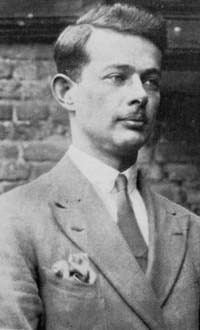 A. Baker, author of The Peregrine (1967), White’s work has inspired a number of prominent naturalists. It seems timely to remember the man, and reflect on his life and influence. J.K. Rowling, for example, acknowledges White’s character Wart, the young King Arthur as depicted in his novels, as the ‘spiritual ancestor’ of Harry Potter. White was an enthusiast – a ‘smatterer’, as his biographer Sylvia Townsend Warner put it – and an avid learner of new skills. He was driven by a need to preoccupy himself, his discontent stemming from a traumatic childhood. ‘Everything collapsed at a critical time in my life and ever since I have been arming myself against disaster,’ he once confessed to Garnett in a letter. By the mid 1930s White had given up a teaching career to rent an old keeper’s cottage, and he wrote to Germany for a goshawk. Weary of society, he hoped to ‘revert to a feral state’ – thinking that somehow winning over the hawk might give him this. He sought to train the bird using medieval methods, and make a living from his account of their relationship. But he had overestimated his ability to do this single-handed. The archaic method usually involved more than one person ‘watching’ the bird – staying awake for days and nights while the hawk repeatedly ‘bates’ from the wrists to which it is tethered, until finally it must sleep, and thereby submit to its captive state. And maybe he underestimated the brute intransigence of the bird, taken as a well-grown nestling and already wired with a detestation of the human form. The modern method of manning a hawk is much gentler on both parties, and takes longer, with the bird gradually accustomed to the proximity of humans and their paraphernalia, steadily overcoming its innate suspicion. But that wouldn’t have made such a compelling tale, or involved such an intense battle of wills. While the book tells us little or nothing about the goshawk in its wild state – it was extirpated from the UK by the Victorians and only the occasional escapee was at large in the landscape here – it tells us much about the relationship between people and birds. In later life White gave up field sports and contented himself with watching instead. He birdwatched across North America between stages of a three-month lecture tour in winter 1963-64. He kept a journal of the tour, later published as America at Last, a revealing snapshot of the nation through a turbulent period in its history – encompassing the Kennedy assassination – and decorated with descriptions of birds and other natural features seen. On the tour he lectured about his work and his inspirations, sometimes to audiences of thousands in open-air stadiums. He was ‘box office’ in America. The Arthurian legends played well here. The Disney deal had made him wealthy at last. This often shy, prickly and reclusive man had probably never been happier, appreciated and liberated in that vast continent beset with social problems but so alive, he discovered, with openness, optimism and possibilities. Tour over, he said his tearful goodbyes. He returned to Europe by ocean liner, partly because he hated flying (despite having trained as a pilot to learn another new skill and to attempt to overcome his fear) and partly so he could visit Athens. 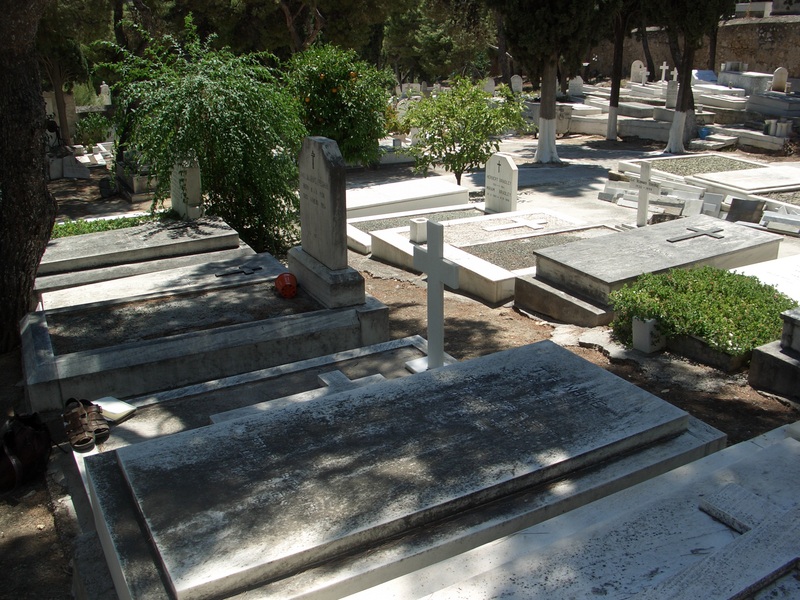 His ship docked in Piraeus harbour there, and it was on the morning of January 17 he was discovered dead in his cabin. The cause of death was recorded as heart failure. He was just 57 years old. He never made it home. With no family in England, it was decided that he could be laid to rest in the corner of an Athens cemetery, within view of Hadrian’s Arch. The Emperor Hadrian was one of his passionate interests. Within White’s oeuvre is a satire on field sports called England Have My Bones. He would have enjoyed the irony that England never got them. Nor did England get his archive, which is housed at the University of Texas. It seems that even in death he was ill-fitted to this country: a misfit, much like the bird of which he wrote so vividly. In part to correct this estrangement it struck me that this year’s anniversary of his passing might be formally recognised in some way, perhaps with a modest plaque or sculpture installed at one of White’s many stopping off points here in a nomadic life. Maybe Stowe in Buckinghamshire, where he taught, and near where he took the keeper’s cottage and did his best work. Or Doolistown in Ireland, where he spent the war years. Or the Channel Island of Alderney, where he lived last. But my enquiries and promptings have left me with no strong sense of a lasting appreciation of White here, or much appetite for resurrecting him. If his literary legacy is not quite assured – I’m guessing because his most famous work was written for children – perhaps his contribution to natural history, albeit by an unorthodox route, can be recognised now. The Goshawk may not add much to the sum of knowledge about the species’ conservation status, but it is the only British book written in the 20th century devoted to the bird. For The Goshawk alone we might doff our caps to Terence ‘Tim’ Hanbury White, and acknowledge the place – and the lasting legacy – of the misfit.